Whether you’re headed to an annual event or festival in the North Shore, Moonlight Limousines can help. Boston’s North Shore and New Hampshire’s Seacoast are full of fun events from festivals and concerts to farmers’ markets and corn mazes. 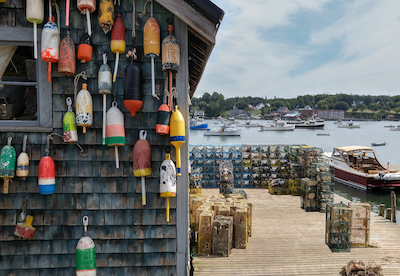 Whether you want to explore the North Shore in the fall or want to spend summer in the Seacoast, our guide to annual events will make sure you always have plenty to do. Our car services are perfect for anyone headed from Boston to events in Newburyport, MA, or Portsmouth, NH. Every autumn means leaves changing color, plenty of pumpkins, and of course corn mazes. North Shore corn mazes feature apple picking, pumpkin picking, barnyard animals, farmers’ markets, hayrides, and fireworks. Check individual corn maze times and schedule of events for a full listing of activities. Popular farms with corn mazes include the Corn Maze and Haunted Attractions at Connors Farm in Danvers, Marini Farms Corn Maze in Ipswich, and Crescent Farm Corn Maze in Haverhill. Reserve a corn maze car service from Boston to the North Show with Moonlight Limousine… great for group transportation. The Rockport Harvestfest features some of the best local foods in New England: local meats & seafood, produce, craft beer, wine, and more. Rockport Harvestfest also features live music: bluegrass, jazz, folk, Celtic, and more. It also has a selection of cooking demos, as well as a farm expo, and the annual Scarecrow Stroll: shops show off their best scarecrows throughout downtown. Reserve a Harvestfest car service today! Located in Shepard Memorial Park, the Essex ClamFest And Clam Chowder Competition has something for everyone: pony rides, arts and crafts, and of course delicious clam chowder. The highlight of Annual Essex ClamFest is the clam chowder tasting, pitting restaurants against each other to determine the best chowder in Cape Ann. Book a clamfest car service with Moonlight Limousine. Looking for a little witches’ brew? The Salem Harvest Fest features samplings of the best wine, cider, mead, and craft beer in Massachusetts. The Salem Harvest Fest also features live entertainment and complimentary snacks. Beer, wine, and spirits vendors include Wachusett Brewing Co., Ipswich Brewing,, Oak Barrel Imports, Moonlight Meadery, Far From the Tree Cider, Two Roads Brewing, and Medford Brewing. Drive safe and get to the Salem Harvest Fest with transportation provided by Moonlight Limousines. The Massachusetts Poetry Festival in Salem, MA, features hundreds of poetry readings and workshops by some on the area’s best. Other activities include press and literary fair and poetry slams. With more than 150 local and nationally known poets, this is the can’t miss event for poets in New England. Book Massachusetts Poetry Festival transportation today! The North Shore Pride Parade celebrates and educates about LGBT issues in Salem. Whether you’re marching or cheering along, Moonlight Limousine offers parade transportation throughout the North Shore. The Pride Parade starts at the Post Office on Margin St and ends at Salem Common. Amesbury Country Music Festival is a three-day, three-evening concert event in Massachusetts. The country music concert features some of the best country music artists in the world, as well as, gourmet food, craft vendors, and more. The festival also features family games & activities and Pie Baking Contest, all located in Downtown Amesbury. New Hampshire is known for a variety of Farmers Markets in the area. Farmers Market are a great summer activity, rain or shine, with locally grown fruits, veggies, meats, cheeses, baked goods, eggs, honey, syrup, wine, and cider, as well as hand made crafts and cooking demos. Popular farmers markets include Dover Farmers Market, Exeter Farmers Market, Portsmouth Farmers Market, and Durham Farmers Market. Most farmers markets in New Hampshire run between May and October. Taking place at Somersworth High School, the Harvest Craft Fair has showcased the best crafters in New England for over 25 years. The Harvest Craft Fair has become one of the largest craft fairs in the area and a great spot for holiday shopping and decorations. Sponsored by the Somersworth Festival Association, reserve fair car service in Somersworth with Moonlight Limousines. The annual Hampton Beach Seafood Festival is one of the most popular events of the Seacoast, and features top restaurants offering their best seafood dishes. Choose from area favorites like lobster, shrimp, and clams or non-seafood items such as “Bloomin’ Onions” and fried ice cream. Other activities include live entertainment, sidewalk sales, arts and crafts, a beer tent, lobster-eating contest, and fireworks display on the beach. The American Independence Festival is the biggest event sponsored by Exeter's American Independence Museum. Activities include Re-Enactments and Portrayals, Food, Music, Children’s Activities, and Museum Tours. The American Independence Festival has more than 100 costumed interpreters and an artisan village featuring demonstrations of coopering, blacksmithing, basket weaving, and more. Fireworks follow the event at dusk in Swasey Parkway. Reserve all of your event transportation in both the North Shore and Seacoast with Moonlight Limousine. We’re the best option for group transportation from Boston to the North Shore and more.